On a muggy September day following a severe monsoon, a local construction crew checked on their site to survey the damage. 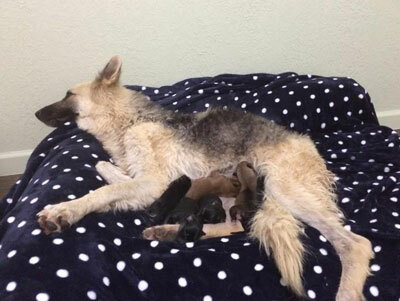 What they never expected to find was a filthy and emaciated German Shepherd with a litter of newborn puppies underneath heavy debris. Stormy, aptly named, had to be dug out by hand to prevent the structure from collapsing. With assistance from Saving Paws Rescue and a grant from PACC911 Lulu’s Angel Fund (LAF), Stormy and her puppies’ fight to survive began. She was severely underweight, anemic, had wires embedded deep in her fur and skin, a prolapsed uterus, advanced heartworm disease, and to top it off a belly full of gravel which she had eaten to quiet her hunger pains. Despite being given only a twenty-five percent chance of survival, Stormy fought to stay alive for her puppies. Months later, Stormy and all of her puppies are doing well and teach everyone they meet about resiliency, strength and the power of a mother’s love. 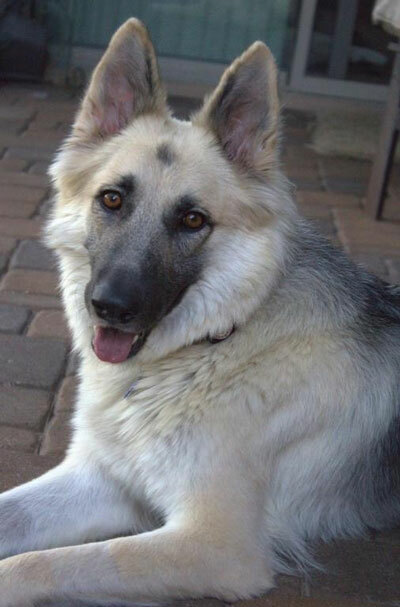 Stormy has gone from a heartbreaking, wretched existence to know the joy of being loved and safe. We are proud to have played a role in this miracle and are overjoyed that she is the 2016 recipient of the Animal Survivor Award, bestowed by the 13th Annual FACC Hero Awards. There are many more just like Stormy. 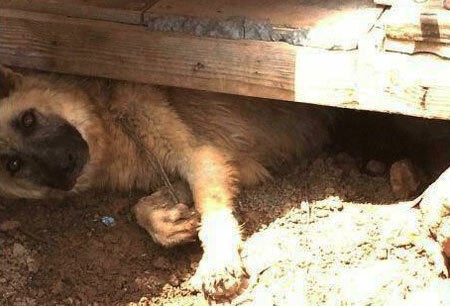 Look at the other stories and photos of the desperate animals our coalition partners have saved with our help. Please, Donate now to help us help them.